Mozilla Firefox has been around for a long time and is a competitor to other major browsers like Chrome, Microsoft Edge, and Opera. 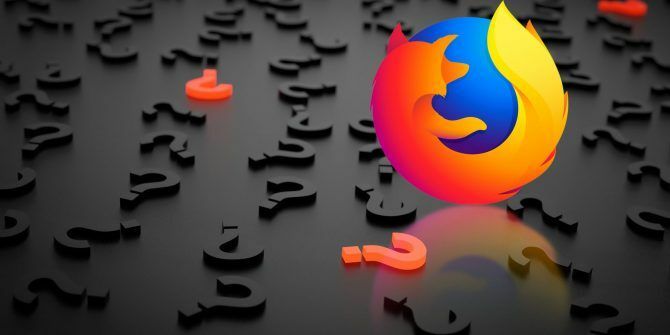 If you’ve been using a different browser and you want to switch to Firefox, we have the answers to some questions you may have as you start exploring Firefox for Windows. Note: This version of the FAQ was written primarily for Firefox versions 56 and 57, aka Firefox Quantum. 1. What Is Mozilla Firefox? Firefox is a free open-source web browser available for Windows, macOS, Linux, Android, and iOS. It’s available in more than 70 languages. Firefox’s interface is highly customizable 3 New Ways to Customize in Firefox Quantum 3 New Ways to Customize in Firefox Quantum The revamped Firefox Quantum offers some new ways to customize it. Here's how to pop open the customization panel and tweak it to your liking. Read More and you can expand its functionality with a selection of more than 8,000 free Firefox add-ons The Best Firefox Addons The Best Firefox Addons Firefox is famous for its extensions. But which addons are the most useful? Here are the ones we think are best, what they do, and where you can find them. Read More . Firefox has a strong focus on security and privacy 3 Compelling Reasons Why Firefox's Stance On Privacy Is Worth Paying Attention To 3 Compelling Reasons Why Firefox's Stance On Privacy Is Worth Paying Attention To No one wants to think they're being watched without consent. Firefox is the only "big three" browser with zero interest in collecting user data. What does this really mean for users? Read More and helps protect your personal information and web browsing activities from being tracked and exploited. 2. What Is the Latest Version of Firefox? The latest version of Firefox, as of the writing of this article, is Firefox 57 Quantum. It’s faster, more streamlined, and uses less memory. It’s the biggest update since version 1.0 in 2004. Mozilla claims that Firefox Quantum is “twice as fast as Firefox from six months ago” and that it’s better in every way. Quantum uses fewer resources than previous versions of Firefox. Download Firefox 57 Quantum and see if you think it’s better than other browsers. You may just switch to Firefox Firefox Quantum Arrives to Challenge Google Chrome Firefox Quantum Arrives to Challenge Google Chrome Firefox Quantum is faster, better-looking, more streamlined, and more useful, and it may be able to give Chrome a run for its money. It certainly uses less RAM... Read More . 3. What Version of Firefox Do I Have? Knowing which version of Firefox you’re using can help you troubleshoot a problem in addition to telling you whether Firefox is up to date. There are three ways you can find out your version of Firefox. The method of checking your Firefox version discussed in the next section automatically updates Firefox by default. To prevent that, click the Firefox menu and then click Options. Scroll down to the Firefox Updates section. Here, you can see which version of Firefox you’re running. To prevent Firefox from updating automatically, select Check for updates but let you choose to install them or Never check for updates, although the latter is not recommended. You can also update Firefox here on the right under the Show Update History button. By default, this method causes Firefox to update automatically, unless you’ve changed the update settings using the steps in the previous section. But, this is the easiest method to find out which version of Firefox you’re running. Click the Firefox menu button, click the Help icon. If you’re running Firefox 57 Quantum, your Firefox menu will look different. The option will be Help with a question mark icon. On the Help menu, select About Firefox. The About Mozilla Firefox window displays. The version number is listed underneath the Firefox name. On the About Mozilla Firefox dialog box, the version number displays below the Firefox name. You can also update Firefox here manually, if you’ve set Firefox to not update automatically. Another method of finding out which version of Firefox you’re running is on the Troubleshooting Information page. Click the Firefox menu button and click the Help option. Then, click Troubleshooting Information on the Help menu. You can also type about:support into the address bar and press Enter to open the Troubleshooting Information page. Your Firefox version is listed next to Version under Application Basics. 4. How Do I Download Firefox? If you’re already running Firefox, you can upgrade automatically to the latest version of Firefox by going to the About Mozilla Firefox dialog box, as discussed in the previous section. i have arrived in the future. Chrome just allowed me to download Firefox without telling me Chrome is a better browser and why I should continue to use it. If you’ve disabled automatic updates, click the Update button on the About Mozilla Firefox dialog box. If you’re installing a fresh copy of Firefox, you can download it at https://www.mozilla.org. 5. Why Is Firefox So Slow? As fast as Firefox 57 Quantum is, it can still slow down the more you use it. It might take longer to start, use too much memory (RAM), or use too many CPU (central processing unit) resources. Firefox may even run slow on high-end hardware. The first thing you should check is if you’re running the latest version of Firefox. Refer to the What Version of Firefox Do I Have? section above. Some extensions might also take up too many resources. Refreshing Firefox, which we discuss later in this article, can help with that. Okay…. so Firefox 57 (Quantum) is supposed to be quicker and more responsive than previous versions? Really?! ?? I'll say I'm not sure yet. If you open a lot of tabs in one browsing session, that can slow down Firefox. You can automatically suspend or hibernate inactive tabs to free up resources using the Tab Suspender add-on, which will work in Firefox 57 Quantum. We offer some simple ways to speed up Firefox 9 Simple Tweaks to Speed Up Firefox Immediately 9 Simple Tweaks to Speed Up Firefox Immediately Whether you're a long-time Firefox user or switching from Chrome, this quick guide shows how to speed up Firefox performance. Read More and five things to do when Firefox runs slowly 5 Things to Do When Firefox Runs Slow but Other Browsers Run Fast 5 Things to Do When Firefox Runs Slow but Other Browsers Run Fast Firefox shouldn’t feel slow, particularly when compared to Opera and Internet Explorer. If it does, try these tips and see if you can restore it to its full glory. Read More . 6. How Do I Set the Homepage in Firefox? By default, the New Tab page is set as your Homepage in Firefox. The New Tab page shows thumbnail links to the Top Sites you visit most. You’ll also see sites recommended by Pocket, now part of Mozilla and included in Firefox. Highlights of sites you’ve recently visited or bookmarked are listed at the bottom of the New Tab page. There are also ways to customize the New Tab page 10 Ways to Make Your Firefox New Tab Page Gorgeous 10 Ways to Make Your Firefox New Tab Page Gorgeous If you are looking for a unique as well as a useful replacement for your Firefox new tab page, then take a peek at these 10 awesome options. These extensions provide function along with beauty. Read More . If you don’t want to use the New Tab page as your Homepage, you can easily change it. To set a specific webpage as your homepage, navigate to the webpage you want to use on a tab. Then, drag and drop that tab to the Home button. Click Yes on the confirmation dialog box that displays. You can also set more than one webpage as your homepages. Each page will open in a separate tab when you click the Home button. To set multiple web pages as your homepages, open all the web pages you want on separate tabs. Make sure all tabs with web pages you don’t want to use as homepages are closed. Then, click the Firefox menu button and select Options. On the General screen, under Home Page, click Use Current Pages. All the URLs from all your open tabs are added to the Home Page box, separated by vertical bars. Close the Options tab. The next time you click the Home button, each URL in the Home Page box is opened in a new tab. Any currently open tabs are not affected. If you don’t want anything on your homepage, you can set it to a blank page. To do this, click the Firefox menu and select Options. Enter about:blank in the Home Page box and close the Options tab. Now, when you click the Home button, the current tab will go blank. To go back to using the New Tab page as your default Homepage, click the Firefox menu and select Options. Click Restore to Default under Home Page, and then close the Options tab. The next time you click the Home button, the New Tab page will display. 7. How Do I Refresh or Reset Firefox? The Refresh feature in Firefox (called Reset in older versions) restores Firefox to its factory default state while preserving your browsing and download history, bookmarks, cookies, passwords, open windows and tabs, and other browsing data. Just spent 15 minutes troubleshooting Firefox only to realize the "problem" is it stealth-upgraded itself to "Quantum". When you refresh Firefox, you will lose items like your add-ons and themes, toolbar customizations 7 Great Customization Add-ons for Firefox 7 Great Customization Add-ons for Firefox Whether you use Firefox for work or pleasure, add-ons help tailor your browser experience just for you. These customization add-ons provide a new look as well as a personalized way to use Firefox. Read More , added search engines, website permissions, and modified preferences. Refreshing Firefox can help if you’re experiencing problems. If refreshing Firefox fixes the problems, you can add extensions and themes back one by one to see which one, if any, is causing the problem. To refresh Firefox, open the Troubleshooting Information page using one of the following methods. Click the Firefox menu. 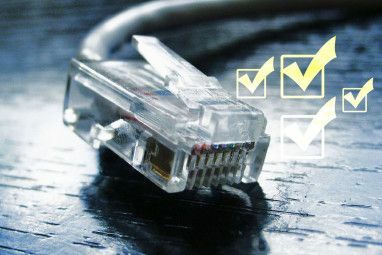 Then, click Help and select Troubleshooting Information. The Troubleshooting Information screen opens in a new tab. Click Refresh Firefox on the dialog box that displays. Firefox reopens with a Success screen on a tab asking if you want to restore all windows and tabs or only the ones you want. Select an option and click Let’s go. 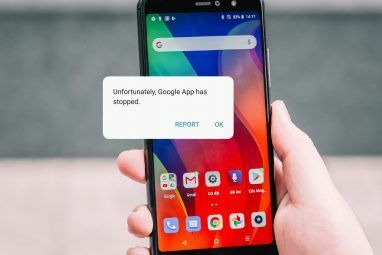 Now, if you were experiencing a problem, you can reinstall extensions, set up your theme and toolbars, and modify preferences to try to determine what caused the problem. There are many reasons to switch to Firefox 7 Reasons to Switch From Google Chrome to Mozilla Firefox 7 Reasons to Switch From Google Chrome to Mozilla Firefox Google Chrome is the most popular web browser, but is it right for you? Here's why you might prefer Mozilla Firefox. Read More , especially now that Mozilla Firefox 57 Quantum is available. There are also several things that you can do in Firefox that you can’t do in Chrome Firefox Freedom! Four Things Chrome Doesn’t Let Users Do Firefox Freedom! 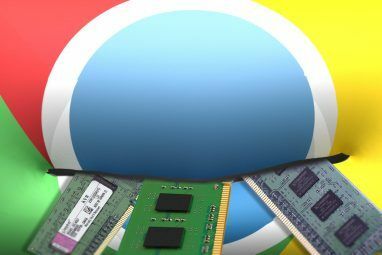 Four Things Chrome Doesn’t Let Users Do Think Chrome can do everything? Think again. Here are four things Firefox users can do easily that Chrome users basically can't. Read More . Do you have any other questions or comments about Firefox? Share your questions and suggestions with us in the comments below. Explore more about: FAQ, Mozilla Firefox, Troubleshooting. Has screwed up my XMarks bookmarks and numerous other things. Have been using Firefox for the last 11 years but no longer enjoy it. All thanks to Firefox Quantum. It was released far too early and was only half baked - at best. The big problem with FF Quantum, so far, is that because of the change in the framework, many extensions and add-ons no longer work. I am a Firefox user since its Phoenix days. Over time I have tailored it to my needs. Quantum has obviated many of my changes. Totally agree. Sam Find, Tab Mix Plus, Auto Form Fill all disabled in Quantum. Went to Waterfox (which is basically Firefox before Quantum). It imported all my old extensions from Firefox and they work - though a few had to be updated first. Waterfox 56.0. Try it. Nice article for those new to Firefox. As a user of both Firefox and Chromium based browsers there are things that have baffled me about all of them and their default settings. One example is why doesn't Firefox take better advantage of its smooth scrolling abilities which is in my opinion, better than what is seen in Chromium browsers when slowly scrolling a page, with a mouse, and trying to read the text at the same time. Type about:config into the address bar, hit enter, if you see the warning uncheck the box. The name of the entry is in the quotes, the value is after that. Type mousewheel in search box. user_pref("mousewheel.acceleration.factor", 8); - Usually 10 is recommended but I like 8 which is just a little slower. user_pref("mousewheel.acceleration.start", 2); - Usually 3 is recommended but I prefer less mouse wheel movement for acceleration to start. user_pref("mousewheel.min_line_scroll_amount", 3); - Because scrolling is faster I reduce the step size and this can also help smoothness. user_pref("general.smoothScroll.lines.durationMinMS", 400); - I use 450 but 400 is a good starting point. user_pref("general.smoothScroll.mouseWheel.durationMinMS", 400); - I use 450. Using all of the above entries, both comments, is the first thing I do when setting up a new install for myself or others. Huge difference. Enjoy! My suggestion:if you are used to other browsers, stick with it. If your Firefox is set not to auto-update, do NOT update unless you have all your bookmark or whatever are saved in your pc as documents as this Quantum Annoyance will erase them even if you use FF's so-called "sync" features. I keep on asking Firefox sites to give me my current bookmarks, all I hear is absolutely nothing.